Merry Christmas from The Paper Doll Club! 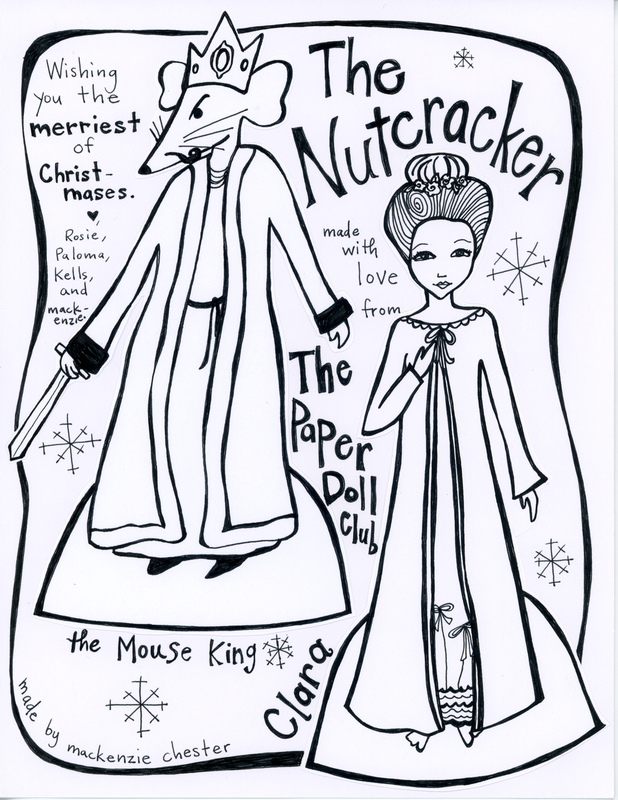 Here is the promised Week 2 of The Nutcracker Doll Set with Clara and The Mouse King. (Last week we posted The Nutcracker and The Sugar Plum Fairy.) Hope you enjoy them. 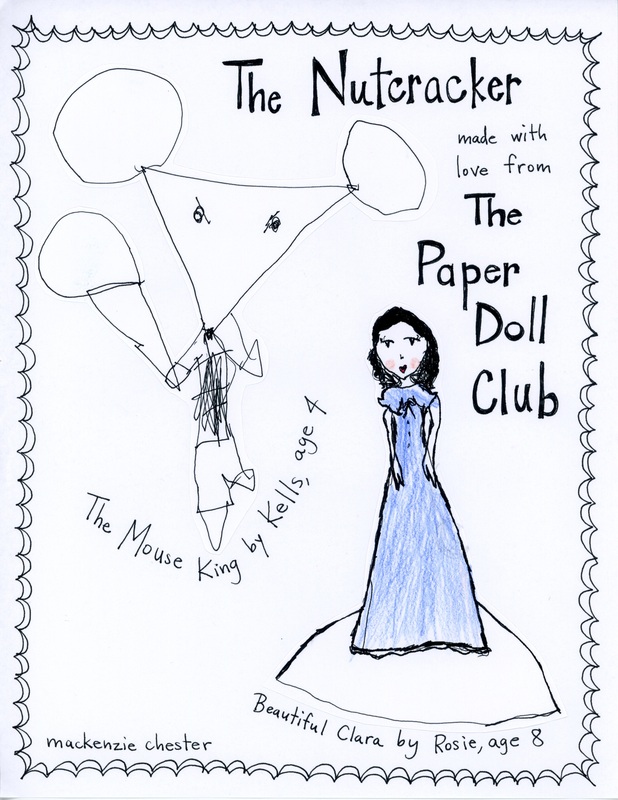 Rosie made a beautiful Clara doll, and I think you will agree that Kells’ Mouse King is the perfect mix of adorably cute and sinister. For a quick and easy Christmas gift, print out all of our Paper Dolls onto stiff card stock paper, staple them together, and give them with a new set of colored pencils or markers. A great gift for those long car rides while traveling between Christmas destinations. Love to you and your family this Christmas. May it be the most beautiful and meaningful you have ever known.